The Velaslavasay Panorama throws a party. The Velaslavasay Panorama celebrates The Grand Moving Mirror of California on Saturday, July 31. Elegant waybackery, spots where one can dress up and have thoughtful conversations and see objects full of wonder, is not common, but there are places around Los Angeles where the concept lives. The Velaslavasay Panorama is one such spot. In a world crammed with neon-digital-"wht-r-u-doing"-ness, the downtown space remains devoted to art and nature and adventure, all seen through a rather Edwardian, esoteric prism. 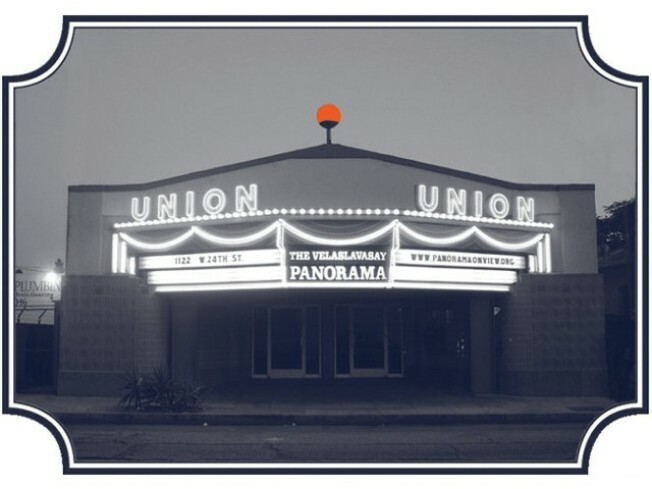 The Panorama has a new show up -- The Grand Moving Mirror of California -- and to celebrate, the Panoramans are putting on a supper club, complete with eats. It's on Saturday, July 31, chefs will be chefing, art lovers will be looking, and tickets are $75 general. It's a fundraiser. Should we also mention The Grand Moving Mirror of California does indeed move? It's also two-hundred-and-seventy-feet long. If that isn't the kind of thing you might have seen in some Barbary Coast back alley circa 1890, we'll eat our top hat. They're not serving top hats that night, we hope. Probably not.